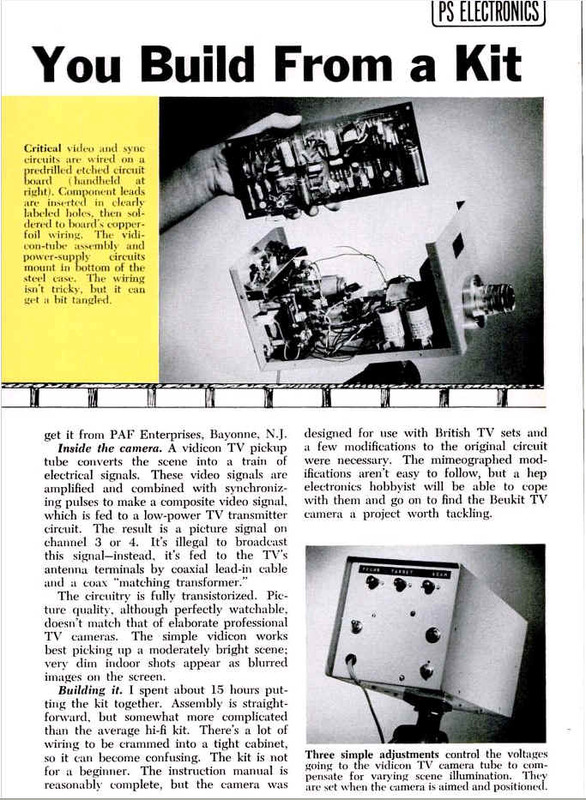 But... Before the Conar 800 offering in 1966, Popular Science had the Beukit Closed Circuit TV Camera. Made by Beulah Electronics in England, this kit cost $200 without the C- mount Lens needed to make it work. Perhaps they assumed you had something laying about from an old movie camera.